Heron Preston's work is all about the remix. Giving new purpose to recycled materials. Giving new context to classic designs. And giving a voice to the mood on the street. "People are tired of perfect things", the artist/designer tells us. "Kids want to mess things up. They're cutting up their footwear, making Frankenstein creations. And they're having fun doing it". With his new Nike By You collab, Heron's definitely having fun, splicing the DNA of two Air Max icons. 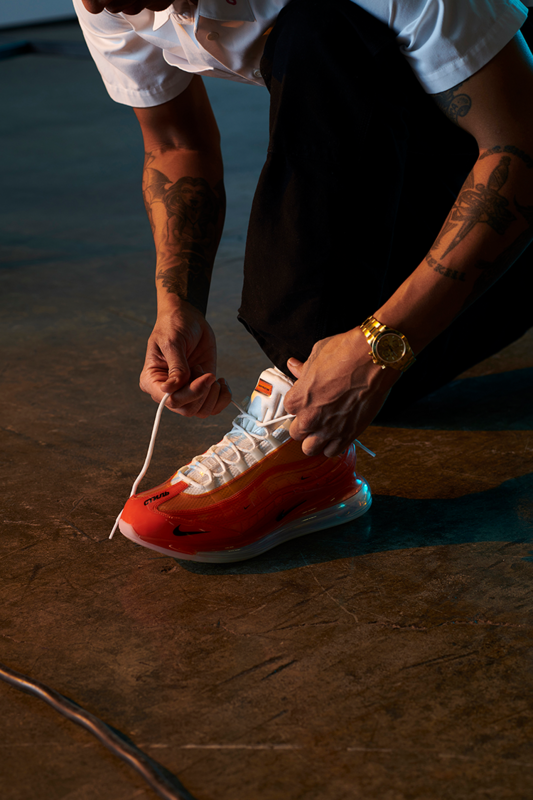 He chose the new Air Max 720 for its jaw-dropping design—and the classic Air Max 95 for more personal reasons. 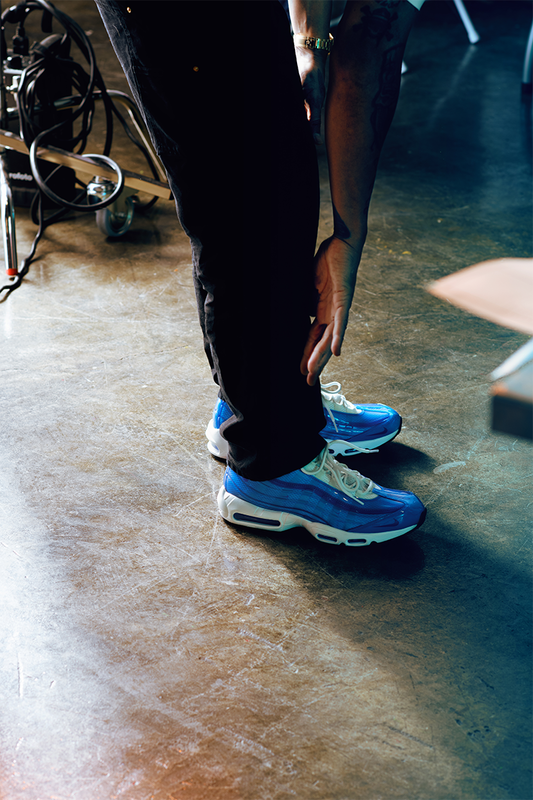 "It was my first Air Max", he tells us. "One of the most beautiful sneakers I'd ever seen. I needed to be part of that story". His synthesis of the two is breaking new ground for Nike By You. For the first time, you can swap out each shoe's entire sole. "When I first heard we could do it", he says, "I was like, 'Wow, we're pushing the tech that far?'" With either sole, you're hitting on Heron's theme of reuse: the 95's Air cushion is 50% recycled; the 720's is over 75%. Heron's design, though, goes beyond mix and match, rethinking the aesthetic of both sneakers. "The idea was, what if we extend the look of the air bubble over the whole shoe? To me, Air is all about possibilities. So this is about boundless possibilities". It's not lost on Heron that turning over his design to public collaboration in Nike By You will bring those possibilities to life. "I'm excited to see what kids create", he says. "Right now, everyone wants to manipulate reality, creating things that aren't supposed to exist. I want this to be their magic toolbox".